Looking good, 1975 Barry Greenstein. 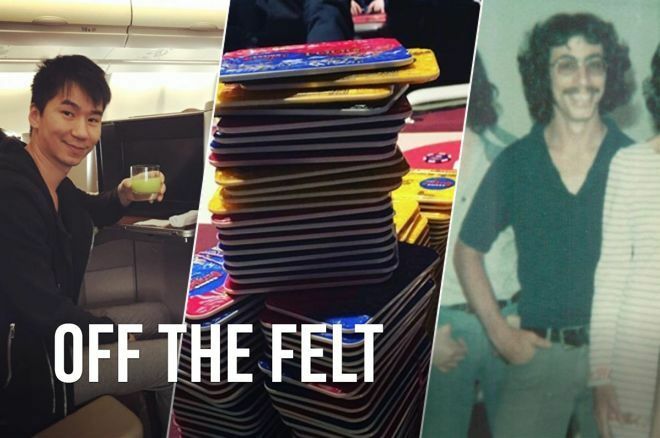 In the previous edition of Off the Felt, we had a sampling of the best poker posts, the Mercier family missing poker and Justin Bonomo on a baseball card. This week, we have a throwback by Barry Greenstein, a pretty sick tattoo and some other fun gems. Want to know what happens in the Thirst Lounge House? Chris Moorman and friends attended a Vegas Golden Knights game - his first one! Steve O'Dwyer talks being motivated by haters in his latest Paul Phua interview. You can watch the complete video here.